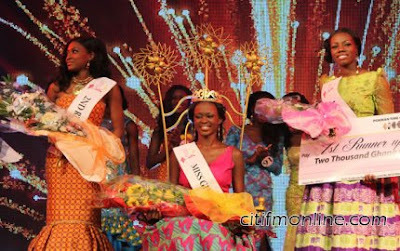 Giuseppina Baafa (22) was named Miss Ghana 2013 at an event in Accra last night. She defeated 19 other hopefuls to win the title. 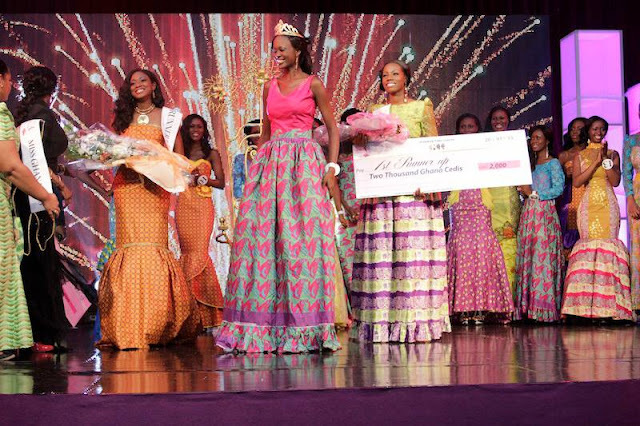 Baafa will represent Ghana at next year's Miss World Pageant (2014). Outgoing title holder, Naa Okailey Shooter will try to win Ghana's first Miss World title on September 28 in Indonesia. The first runner-up was Margaret Kuma Mintah and the second runner-up was Crystal Amudzi. She looks OK in these pictures but I think there big shot at the crown will be this year.